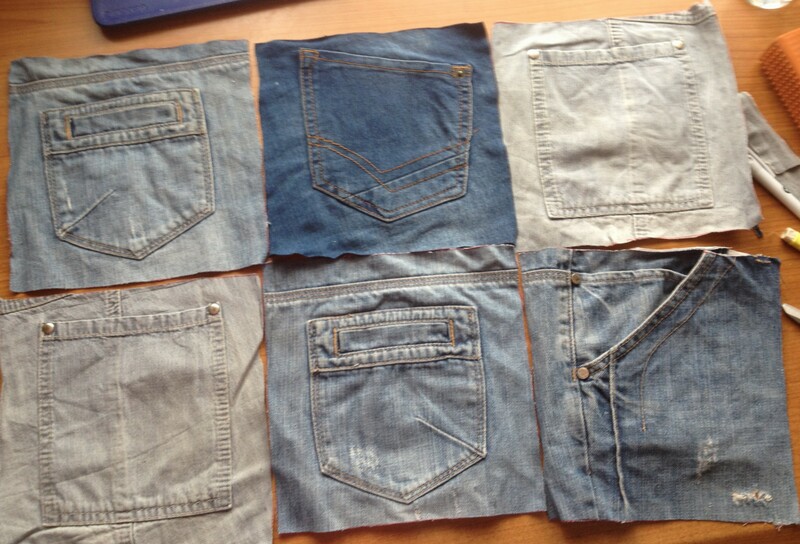 Denim jeans – for the organiser I made, I used 3 different pairs to collect 6 pockets- mainly back pockets but also a front one. 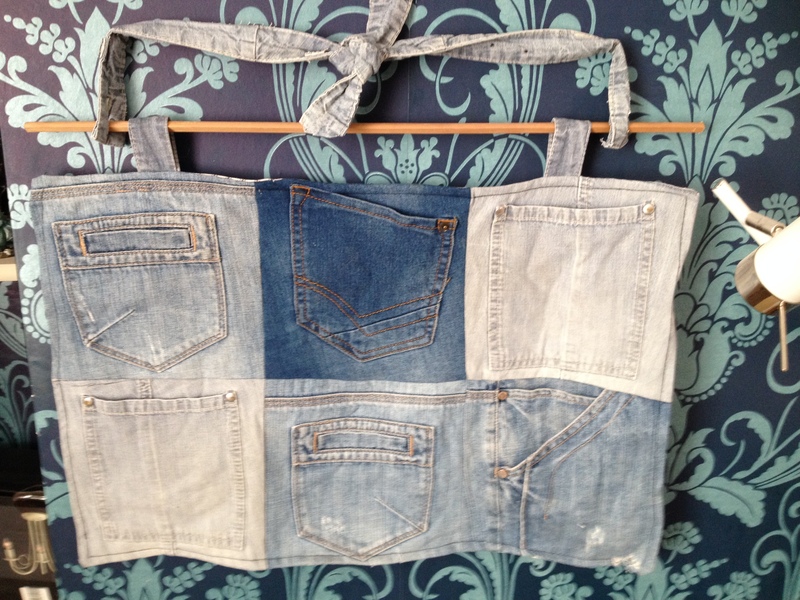 You can make it with as many pockets as you have along as you can make a square or rectangle. 2. 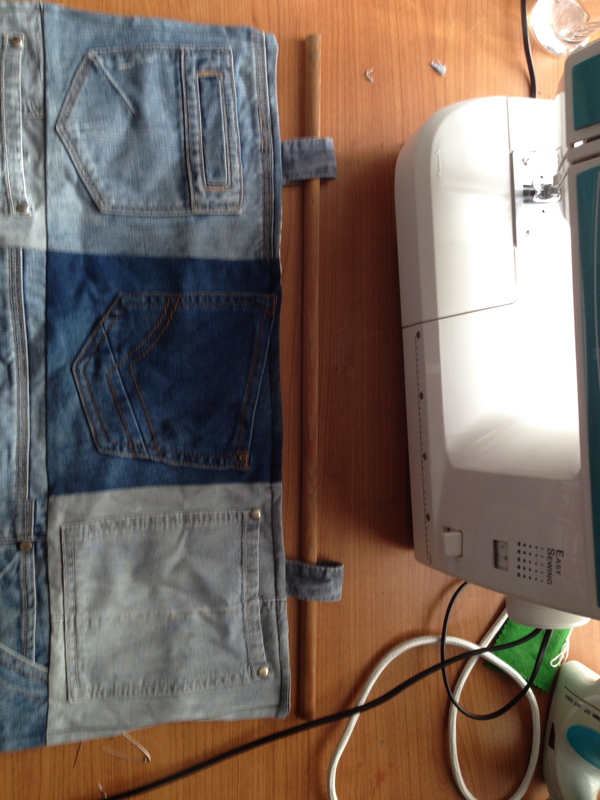 Draw around the template onto the jeans, trying to centre the pockets in the middle of the template as best you can. 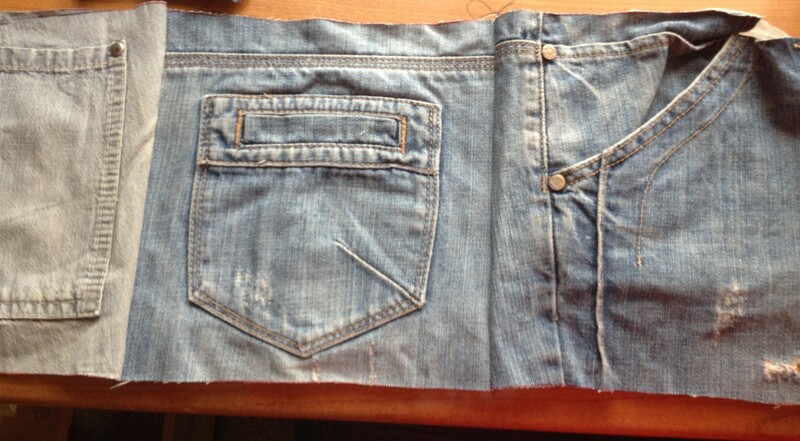 Cut out each pocket, being care to try and keep the edge straight especially when cutting through any seems. 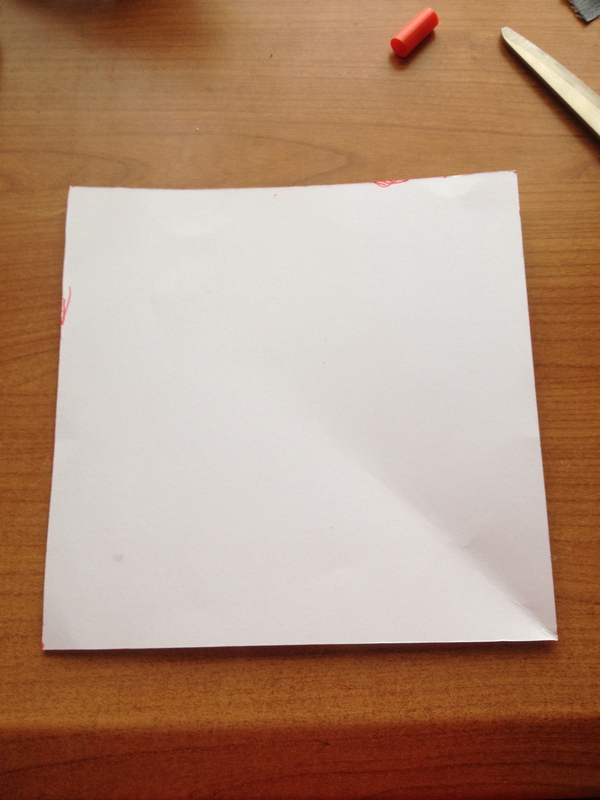 The felt tip I used is red, I hope you can see the square. 3. 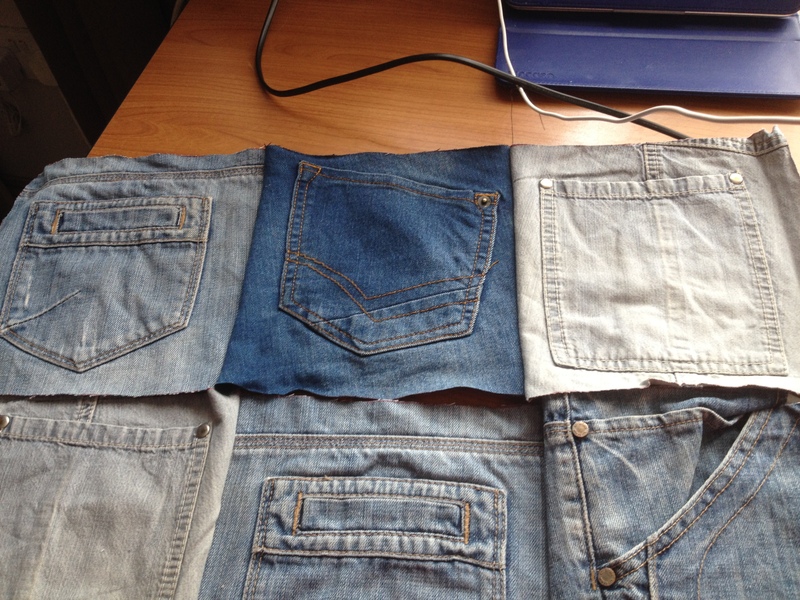 Lay out the pockets and decide which order you would like them to be in, either keeping similar colours together or spread out. Decide what shape and orientation you would like your organiser and make sure that all the pockets are in the correct orientation. 4. Pin the first two together ( The top left one and the next pocket on the top row), good side to good side and sew down the edge, about 0.5cm from the edge using a straight stitch, going backwards at the end and start to make sure the stitching won’t pull apart. 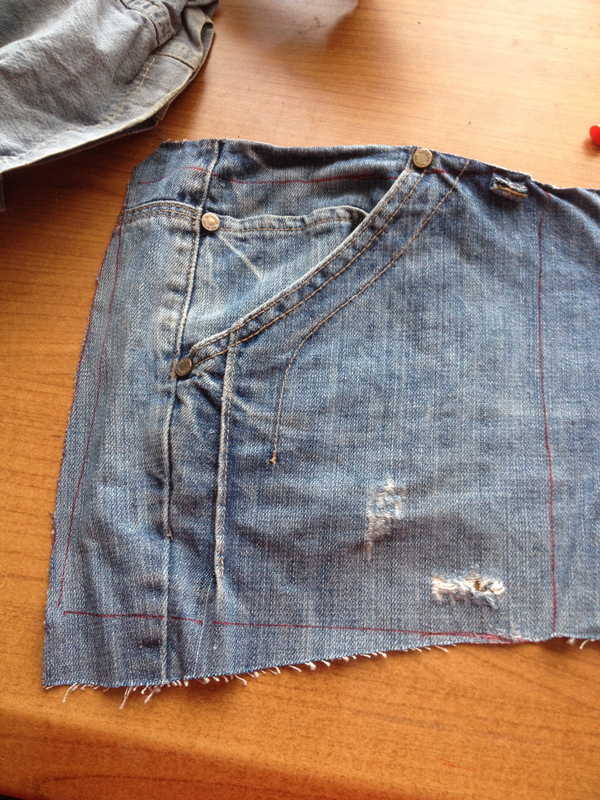 Turn the pair of pockets the right way out and iron the seam flat. 5. For the one I made, I then completed the top row by sewing the last pocket in place in the same way: pinning the top right hand pocket to the other side of the middle pocket, good side to good side and then sewing a straight stitch up the edge. 6. Complete the same procedure for the next row and any further rows that you might want. Making sure to iron each seam flat after sewing. Each row should have the seams ironed to alternate sides, eg, row 1 to the right, row 2 to the left. 7. Put the two rows good side to good side, with the top of row 2 to the bottom of row one and pin in place, being careful to line up the seams between the rows. Sew a straight stitch again between 0.5 and 1cm from the edge, making sure to reinforce the start and end. 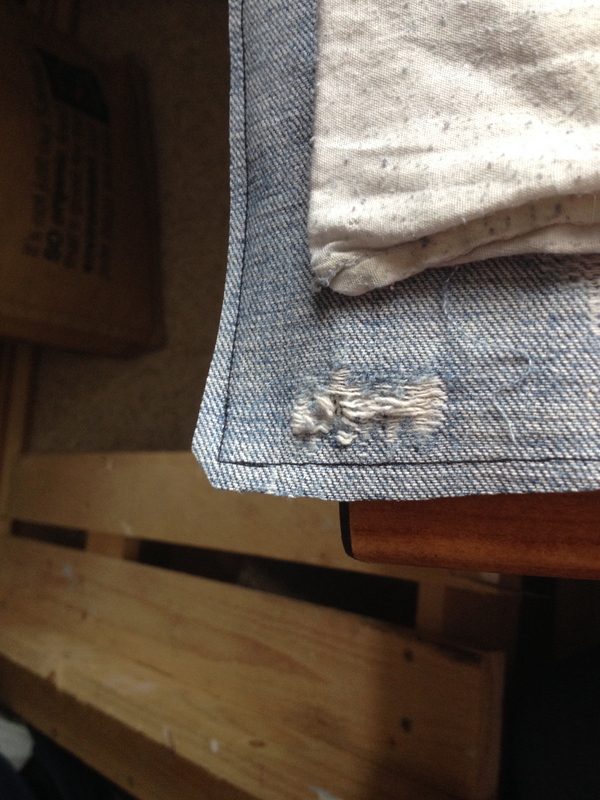 Iron the seam flat and then make sure that all the seams are as flat as possible. 8. 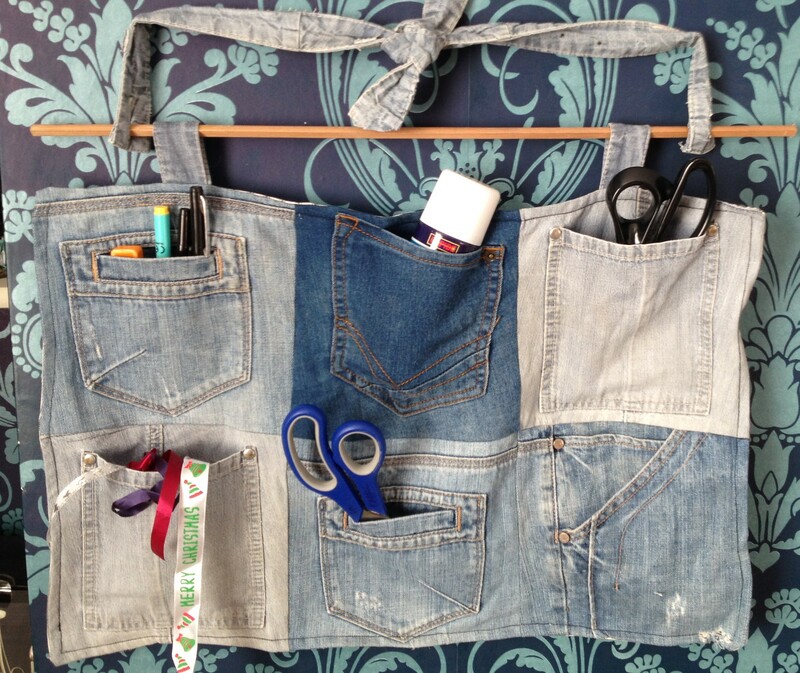 Make some hooks to hang up your organiser. 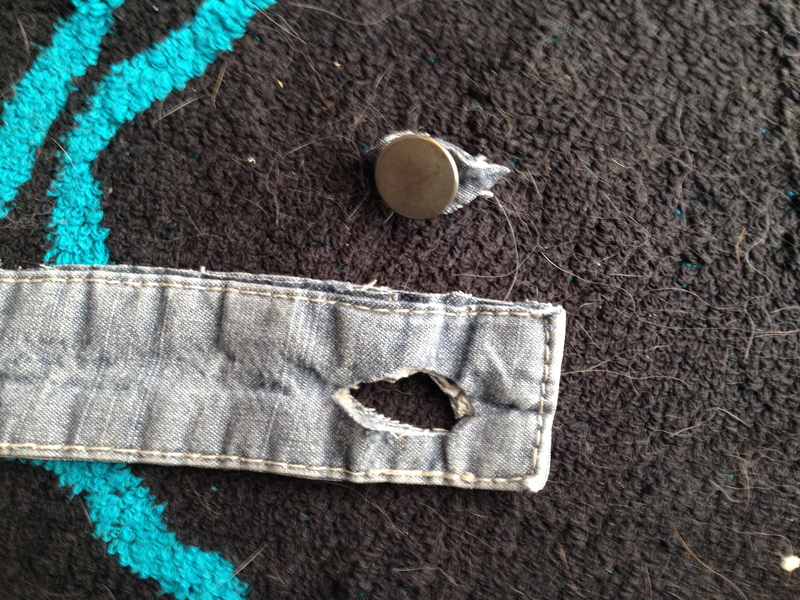 In my case I used a strap from one of the pairs of jeans, it was about 2cm wide and 10cm long for each hook. 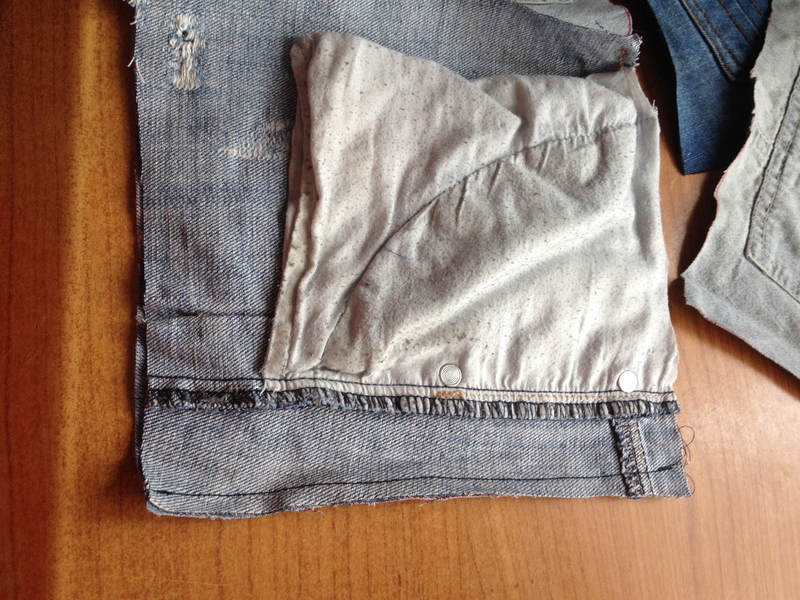 If there aren’t any straps on your jeans, you can also use some pieces of waist band but it will be more difficult to sew through. Pin the straps in place in the pockets, they should be pinned to the good side and pointing down away from the edge. 9. 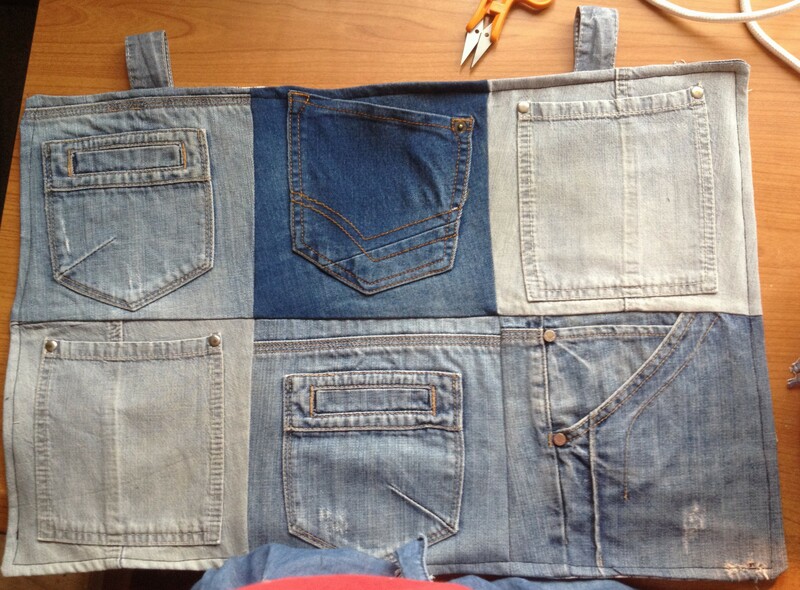 Cut a piece of backing fabric, any scrap fabric will do, to the same size as your sewn together pockets. Pin in place to the pockets, good side to good side. 10. Sew around the edge, a straight stitch about 0.5cm and 1cm from the edge. Try to keep the stitching as straight as possible but don’t worry if it wanders a bit, it just shows that it is homemade. 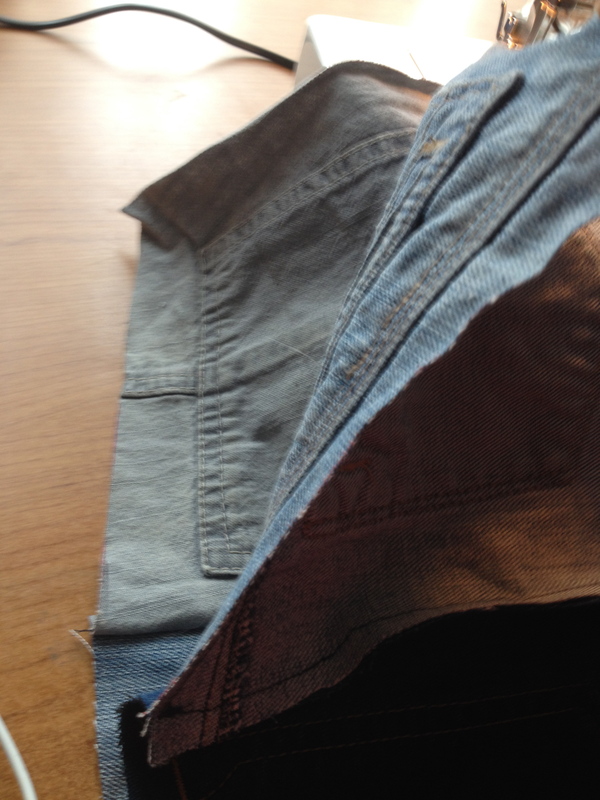 Leave a gap on the bottom approximately the width of the middle pocket. 11. Cut the corners off as close as possible the the sewing and then turn your organiser the right way around using the hole that you left at bottom of the organiser. Iron the organiser flat, especially around the edge at the bottom edge where the hole is. 12. Sew a top stitch all the way around the edge of the organiser, this will allow you to sew up the hole at the bottom. This can either be done in a similar colour, especially if you are a little less confident in your sewing stitch, or a contrasting colour to make it stand out. Try to keep the straight stick parallel to the ironed edge of the organiser. 13. Run a piece of doweling through the holes, this will help stop the organiser from folding in the middle when you place things in it. 14. In order to hang this on the wall, I needed something to attach to either end of the dowel and then go around 2 fixings on the wall. 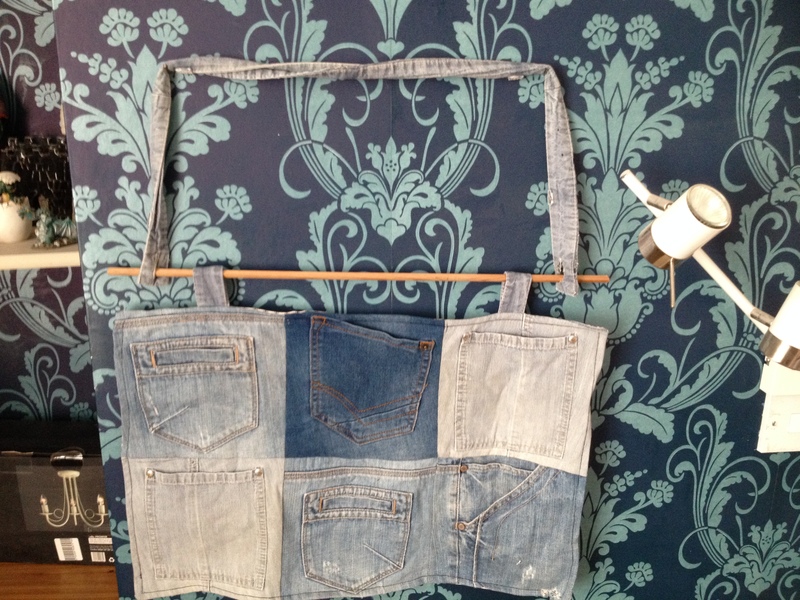 I decided that I would stick with trying to use as much of the jeans as possible and use the jean waistband. 15. The fastenings on the wall need to be at least as far apart as the rings on the organiser.